The American Legion was chartered and incorporated by Congress in 1919 as a patriotic veterans organization devoted to mutual helpfulness. 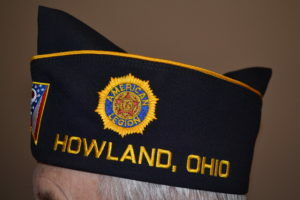 It is the nation’s largest wartime veterans service organization, committed to mentoring youth and sponsorship of wholesome programs in our communities, advocating patriotism and honor, promoting strong national security, and continued devotion to our fellow service-members and veterans.Hundreds of local American Legion programs and activities strengthen the nation one community at a time. American Legion Baseball is one of the nation’s most successful amateur athletic programs, educating young people about the importance of sportsmanship, citizenship and fitness. The Operation Comfort Warriors program supports recovering wounded warriors and their families, providing them with “comfort items” and the kind of support that makes a hospital feel a little bit more like home. The Legion also raises millions of dollars in donations at the local, state and national levels to help veterans and their families during times of need and to provide college scholarship opportunities.